On Saturday, December 1st, Winter Wonderland and the annual Tree Lighting takes place from 3-8pm! ALL FREE! Beginning at 3pm there will be music, luminaria bag decorating, cookie decorating, hot cocoa and more! The Tree Lighting takes place at 5:30pm. Make sure to stick around for pictures with Santa from 6-8pm! 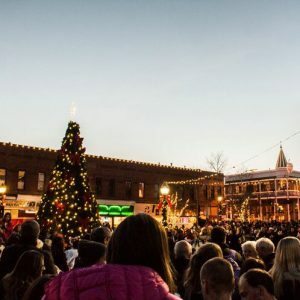 Kick off your holiday season in downtown Flagstaff – home of Arizona’s Winter Wonderland! Presented by Flagstaff Parks & Recreation and the Flagstaff Downtown Business Alliance.